Mowery’s addition to the Love Is series is a complicated, multi-layered story focused on the theme of dishonor…and ultimately, true honor. Fear and shame unchecked is the cause of the day. It’s hard to figure out who’s the real bad guy and good guy. Chelsea is a victim, certainly, who made poor choices and reaps the reward of a surprise child. Mother comes off as a true villain, damaging her daughter emotionally out of absolute terror Chelsea will make the same mistakes she did. But no one knows the depth of those mistakes until it’s almost too late. Chelsea’s father hides while another man steps in to care for his adult daughter. Kevin has always loved Chelsea and slowly unravels the tangles of miscommunication that drove them apart. Ready to see through all of Chelsea’s misery and guide her out of it, Kevin also slowly woos her and is prepared to walk with her and her child as a true family. But Kevin must also risk patient confidentiality when he needs to get to the bottom of the baby’s medical condition. Told from multiple viewpoints, Mowery does a wonderful job portraying all the angst of Chelsea and her sea of emotions during this incredibly emotional and physically painful passage into motherhood. Be prepared to experience mixed feelings about everyone as their true motivations are gradually peeled back. 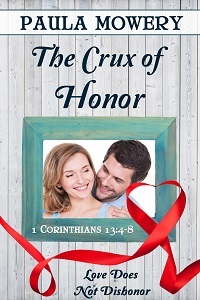 A poignant story in short form, those who enjoy a rollercoaster read will enjoy Crux of Honor. Bundled for Print with two other Love Is books coming soon. When researcher Grace Talbot and her team discover a possible solution for weight loss they become targets of a group dedicated to controlling the multi-billion dollar a year diet-product industry. Her unsanctioned testing methods bring tragedy to the family ranch and the attention of the local sheriff’s deputy. With her colleagues either dead, missing, or on the run she soon realizes she must trust the deputy with her life, but can she trust him with her heart? Entrepreneurialism and greed is killing Americans from the inside out, and dedicated FBI Agents Devyn Nash and Nick Melonis are on the hunt in this new series from best-selling author Kim McMahill. Using her home territory of the US West, readers go along on what becomes more than a manhunt, but a mysterious corporation with far-reaching tentacles infiltrating the food we eat from the farm animals up. In A Dose of Danger, McMahill explores what we hope is a fictional scenario in which the testing process of controlled substances used for human diet medications come under suspicion. The story opens with corporate researcher Grace Talbot on her way home to the family farm which she’s been informed has suffered a suspicious fire that killed long-time family farmhand Butch and severely injured her uncle, the man who raised her from childhood. Grace has an ulterior motive for rushing to the scene, however, as the reader soon learns of her own mistrust in the system she works for. She is met at the ranch by Deputy Logan Carlson, and the two of them struggle against the elements and desperate thugs to stay alive and salvage the research that holds the truth about project Grace is working on. Well into the story we meet the FBI Agents Nash and Melonis who have been working the cases of mysterious deaths in various aspects of the food industry. When Grace’s colleagues start dropping like flies or running for their lives, Nash and Melonis wonder if this situation is another piece of the puzzle they are working on, and get involved. Grace must decide how much to trust Logan as the too-good-to-be-true deputy works out his own past issues in order to help keep her alive. This is a stand-alone story, however, the FBI Agents carry on their work in the next book in which they attempt to get closer to the mysterious corporation trying to affect our eating habits. The suspense kept me coming back to read in every spare moment, and I bonded with the characters and their dilemmas. I expected a shoot out to be typical and was prepared to skim through it but ended up reading every word. Those who enjoy romantic suspense with several twists, large casts telling the story from several viewpoints, and with more than one side story going on will eat up this series. Currently on sale for 99 cents on Amazon! - check price before purchase. The second book in best-selling author Kim McMahill’s Risky Research series brings FBI Agents Devyn Nash and Nick Melonis a little closer to their hunt for a mysterious corporation trying to manipulate American food and eating habits through the use of dangerous uncontrolled substances. In this story, a southwestern corporation making pre-packaged frozen foods for sale is under suspicion when a new division manager, Morgan Hunter, comes on the scene. Only the job is not what is appears to be and as Morgan searches for elusive information too carefully guarded by a micro-managing corporate head and the creepy assistant assigned to her, she stirs up a whole lot of danger. Unsure how to proceed when she finds a mysterious message, she calls on her former husband for help. Learning her predecessor died triggers the attention of the FBI who move in to tie this case to their own hunt for corporate greed stopping at nothing for their own nefarious purpose. 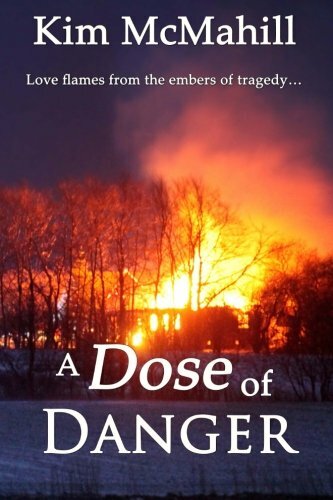 While this story can stand alone, readers will want to have read or read A Dose of Danger, the first book in the series, to be better acquainted with the FBI case and some of the characters introduced then. There is a large cast to get to know, and while they are so well drawn it’s easy to keep them apart, there is some back story that makes it a smoother transition to this new part of the series. Told in multiple character viewpoints, the pace keeps readers turning pages. 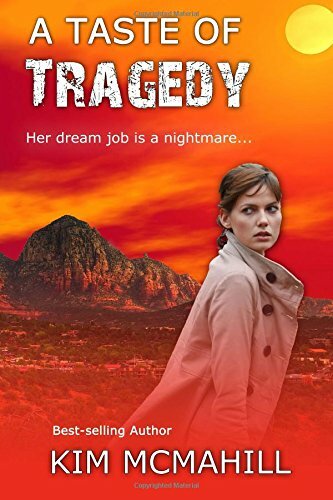 For those who like clean-reading romantic suspense with lots of twists and angles to explore and ruthless characters, A Taste of Tragedy will satisfy. I look forward to reading more. Kathy, what do you love about Rumors and Promises? I originally wrote this story more than 12 years ago, so the characters have become like old friends to me. With my characters and the evolution of several drafts and versions of Rumors and Promises, I’ve learned so much about writing. Of course there’s always more to learn. Sophie Biddle’s story in Rumors and Promises really began as an attempt to convey a story similar to the account of the woman at the well in chapter four of the Gospel of John. At the time editors weren’t interested in biblical fiction. But I was also constrained by the guidelines of Christian publishing. How could I have my protagonist be a woman of bad reputation while preserving her purity? The character of Sophia Bidershem, an heiress concealing her identity with a slightly different name and trying to pass off her toddler daughter as her sister, was born. The out-of-wedlock-pregnancy had not come about by her volition, but she loves her child anyway, and does what she must to take care of her. Then I thought about who had the most to lose in becoming involved in the life of these runaway girls, just as the disciples became shocked Jesus would associate with the Samaritan woman. Pastor Ian McCormick would have much to lose if his reputation was besmirched by friendship with a “fallen woman.” Of course that’s where the similarities end. Jesus is sinless while Ian is a flawed man trying to start over with a new congregation because of past failings. What begins as ministry to a poor girl and her little sister turns into a deeper relationship than either of Sophie or Ian bargained for. Doubts about little Caira being her sister cause tongues to wag in Stone Creek and they are eventually faced with a dilemma about whether or not to confess the truth. Jesus spoke to the Samaritan woman compassionately, but He also helped her face the truth of her sin, so that He could become living water to her. Rumors and Promises is a story close to my heart in that it shows a mother’s love and sacrifice. I also hope it exemplifies the power of God to make blessings out of the difficult things in life along with His ability to heal and renew. Sophie sacrificed for Caira at the cost of her reputation, in a time when a woman’s reputation meant everything. Sophie knew it wasn’t her child’s fault she’d been sexually assaulted and loved her daughter despite the circumstances in which she was conceived. Ian has a lesson to learn about whether or not to put his own reputation above the welfare of others. They both have an opportunity to make choices that will move them forward rather than keep them bound to the past. And know they must ask God for help to accomplish this transformation. We are all faced with these kinds of choices, even today. Our situations may be completely different, but we can stay chained to the past or move forward with the Lord’s help. If it’s sin you’re bound to, then He has the power to free you. If you have deep hurts or grief, Jesus wants you to trust Him for the future and bring healing into your life. Even when we are forever changed by circumstances, He can use them for good. I’m counting on that! I have loved the whole process of developing the story and deepening the characters with each draft. It’s been a blessing. Lisa: I'm so glad you had the patience to keep plugging along and not give up, Kathy. I'm excited for you and this work. Since Pastor Ian McCormick wants to start a mission in the small town of Stone Creek for pregnant unwed girls and “fallen” women, I looked up what similar missions there had been in the Detroit area around 1900. To my surprise I found that Crittenton Hospital had its roots in such a mission. The Florence Crittenton missions had been started by Charles Crittenton all around the country to help unwed mothers and prostitutes. After his daughter passed away when she was only four, Mr. Crittenton came to faith in Christ and wanted to do a good work in memory of his daughter. Crittenton Hospital still flourishes today as a large modern medical facility on the east side of the city. I also learned how difficult it can be to find specific historical details. I looked for whether gaslights and telephones were common in small towns. Would it be likely that they had wood burning or coal stoves? Information varied and I did my best to make a realistic decision. I also didn’t want anything to appear in my book before it would have appeared in the historical timeline. Lisa: I knew all that research we did with our novellas in Brave New Century came from your love of history and bringing it to life. Originally I would have said my primary antagonist, Gertrude Wringer, but since she is important to the story, I will say Cecilia Neuberger is my least favorite. She is the spoiled daughter of the kind storekeeper and is bent on making Sophie feel left out, but in a sickly-sweet way. 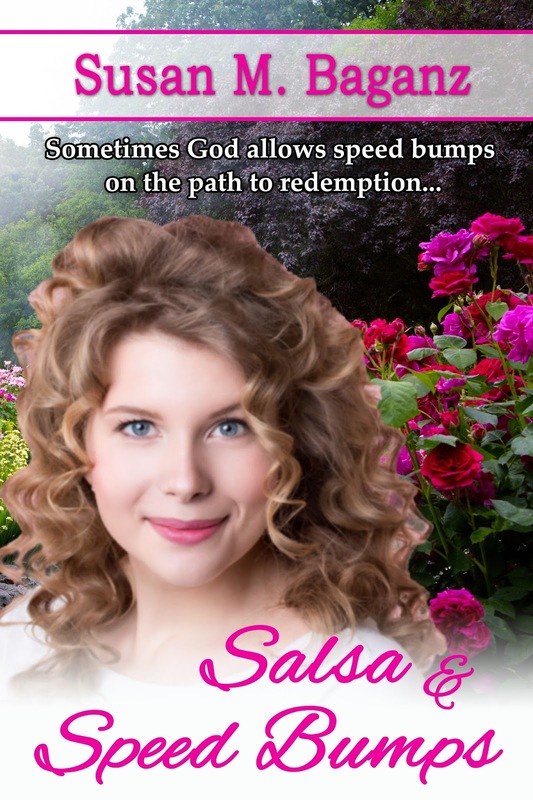 I describe Cecilia as all “ribbons and corkscrew curls.” She pretends to act friendly, making sure Sophie knows she’s not good enough to be part of the town’s social activities. She’s plain stuck up and mean spirited! 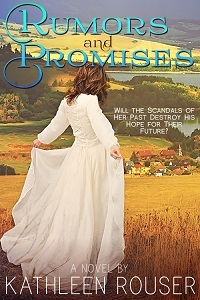 The Prophetess by Jill Eileen Smith and Restored, by Tanya Eavenson, to name a couple. Seems I’m always reading more than one book, but eventually focus on finishing one of them at a time. I am writing the stand-alone sequel to Rumors and Promises with the working title, A Good Medicine. Here’s the tag line: A widow and a pharmacist find remedies for what ails them most where they least expect it. It also takes place in Stone Creek, involving a widow and a widower, who each have children. Maggie Galloway is a strong woman trying to decide how to steer her future. Thomas Harper, the new apothecary in town, is struggling with his brood of four children and starting his business in the town. There’s a lot of humor, healing, and hope in this story as Maggie, Thomas, and their families clash and, yet, manage to find common ground. I’m also editing my biblical novel manuscript, which is about both of Moses’ mothers. It’s a totally different world than Michigan in 1900. I definitely have plenty of writing projects and ideas to keep me busy. 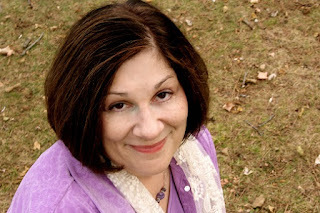 Thank you so much, Lisa, for having me as a guest on your blog. It’s been fun. Lisa: It's been a pleasure. I'm intrigued by your next work. Thanks for sharing. Kathleen Rouser has loved making up stories since she was a little girl. Her debut novella, "The Pocket Watch," is part of Brave New Century, a Christian historical romance anthology, published in 2013 by Prism Book Group (Inspired Romance). Her short story, "Special Assignment" was part of the Amazon bestseller, Christmas Treasures. Kathleen has also been published in Homeschool Digest, An Encouraging Word, and Happy Sis magazines. 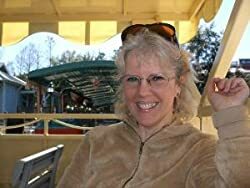 She contributes regularly to Novel PASTimes, a blog devoted to promoting mainly Christian historical fiction and to the Heroes, Heroines, and History blog. She is a long time member in good standing of ACFW and a former board member of its Great Lakes Chapter. Readers will learn plenty from this multi-layered story of one woman's quest to regain her health and life. Although I'd like to think the medical community has come to accept Suzie's illness (you'll have to read to learn what it is, as Suzie doesn't even know for a long time), it's still shocking how frustrated everyone involved can be when answers aren't immediate and clear. 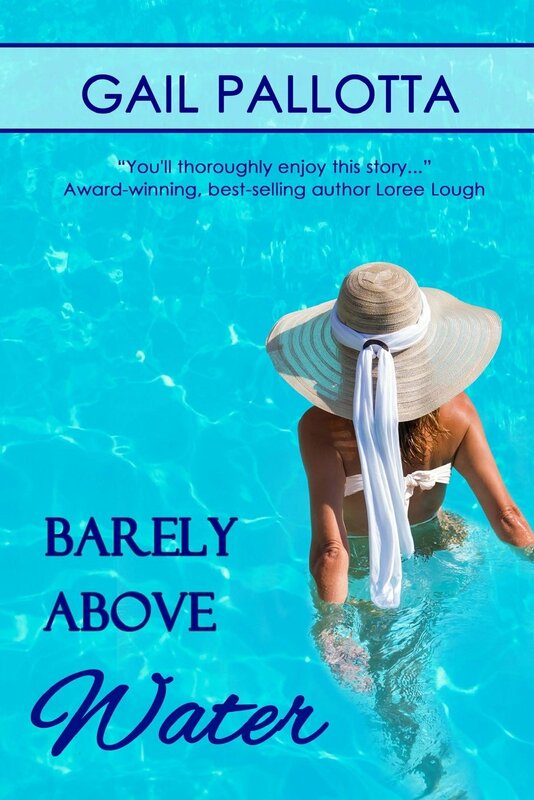 Barely Above Water is the story of a couple learning to deal with and move on from past and present wounds. Some issues, like the loss of loved ones, we have to learn from, appreciate and walk on in life, some, like Suzie’s excruciating, complicated medical condition, we have to take hold of, do what we can to work with it or heal it, and continue to live. Suzie's mystery disease affects her work, her lifestyle, her diet, and self-image, besides the relationship with her great new boss who may be Mr. Right, if he doesn't run when he learns Suzie's secret. It's only natural, but Matt has issues of his own and everything becomes personal when he has to decide whether or not his new summer county rec department's swim team has his future love life in hand. Readers will get an inside view of alternative medical treatments and a bonus end section explaining them as they journey with Suzie and Matt to discover a fresh purpose for their lives. Recommended for readers of romance and medical issues. 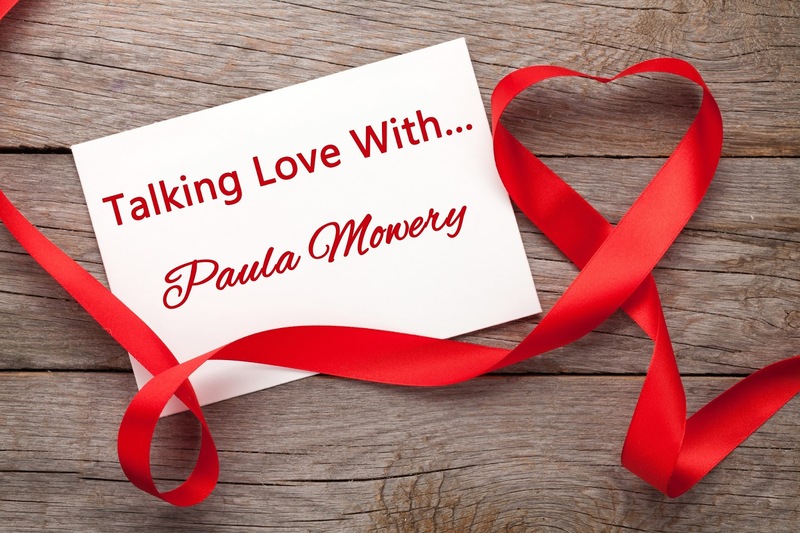 I loved the warm, sunny setting in Florida, the characters to grow along with, and the suspense as Suzie gradually learns about her medical condition. The Illuminati want Shale’s ancient scrolls and they’ll stop at nothing to find them. Shale and Daniel will stop at nothing to protect them. The battle rages from Jerusalem to Shambhala in search of Daniel’s father. With the apocalypse looming, Shale must choose between mortal love and immortality. This fourth entry into the Seventh Dimension series brings the battle against good and evil back to Earth. Although I'm a bit weary of treating public high school science teachers as the bad guy, I trust Roberts's story-telling skills enough to move on from a dramatic opening in class to the reunion of Shale and Daniel as they pick up the search for Daniel's father in contemporary Israel and Asia. Strangely, Shale's biological father is the face of a deeper conspiracy in the hunt for a closely guarded secret behind the physical means to cross the barriers of time--but what this will mean for the rapidly approaching Armageddon and whether mankind can shut out God will become an intergalactic issue, as much as a challenge to our young couple, is anyone’s guess. Or is it a carefully orchestrated event across time? Daniel and Shale not only face the external pressures of a world in transition, but also their own faith in God and each other. Trust has many avenues and faith many faces. 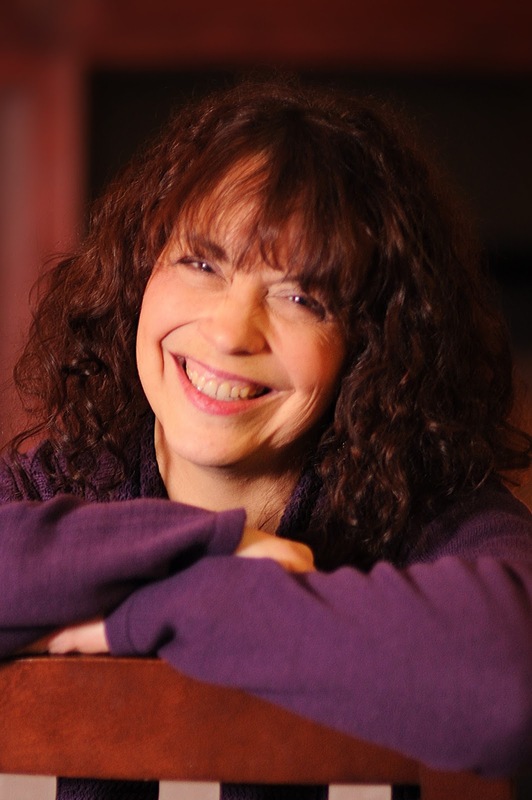 Roberts is a well-rounded story teller and uses her experiences in international travel to add wonderful layers to her credible characters. 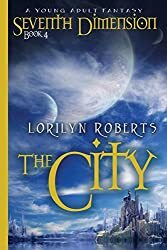 Lorilyn Roberts is an award-winning Christian author who writes for the young and the young at heart. Lorilyn is a single mother by choice. She adopted her two daughters from Nepal and Vietnam. Read her Amazon best-selling memoir, Children of Dreams, endorsed by New York Times best-selling author Jerry Jenkins, and be inspired. Lorilyn has been a speaker at various events and functions, including women's groups, adoption support groups, and writer workshops. She is the founder of the John 3:16 marketing network.